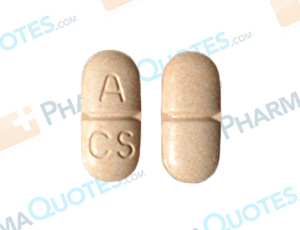 Atacand HCT is a combination drug used to treat high blood pressure (hypertension). It contains candesartan, an angiotensin receptor blocker (ARB) which relaxes blood vessels to allow better blood flow, and hydrochlorothiazide, a diuretic (water pill) which increases urination and helps relax blood vessels. This and other drugs should be used under the direction of a doctor with a complete and current list of medications and medical history, including allergies. Patients who have had an allergic reaction to candesartan, hydrochlorothiazide, or inactive ingredients commonly found in medications may have a reaction to atacand HCT. Patients should talk to their doctor before taking this medication if they have a personal medical history of kidney or liver disease, mineral imbalance, gout, lupus, or dehydration. This drug may cause dizziness. Do not drive or operate heavy machinery until you know how atacand HCT will affect you. Patients may also experience tiredness or lightheadedness. If these effects worsen or persist, notify your doctor. Serious side effects can occur when taking this medication and should be reported to your doctor, including dehydration, fainting, signs of kidney problems, toe/joint pain, muscle weakness, slow/irregular heartbeat, vision changes, and eye pain. Tell your doctor if you are taking aliskiren, lithium, dofetilide, or other products that may increase blood potassium levels, as these products may affect the way atacand HCT works. Do not start, stop, or change the dosage of this medication without consulting your doctor. It’s important to follow manufacturer, pharmacy, and doctor’s instructions when using this and other medical products. General Atacand HCTZ Warning: The above information is for informational purposes only and is not meant to be a substitute for professional medical advice, diagnosis or treatment. Please seek professional medical advice before starting, changing or terminating any medical treatment. Pharmaquotes is not offering medical advice, pharmaceutical recommendations or endorsing any specific prescription drug, pharmacy or other information on the site. Pharmaquotes provides no warranty or guarantee for any of the discount data, medication, or other information.